Sorry, there was a little bit of a delay on updates, but it’s been a bit busy in this neck of the woods. 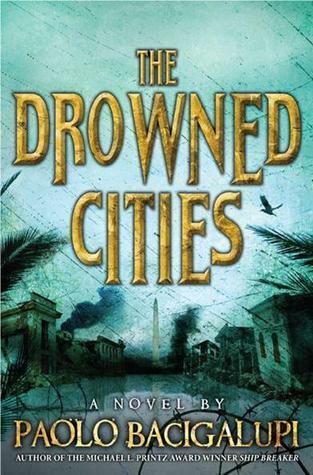 Either way, today we have some links including a review of Paolo Bacigalupi’s The Drowned Cities (a sequel to his earlier book Ship Breaker), Nathan Bransford’s advice if you are self publishing and a list of contemporary authors that we’ll more than likely still be reading in 100 years. In other news, Chicago’s Printers Row Lit Festival will be happening this weekend (June 9-10). There will be a number of cool events and attendees this year including Sapphire, Dan Rather and Jon Green. I’m definitely going to stop by some of the events and if you’re in the city, you should too. This entry was tagged Chicago's Printers Row Lit Festival, Conor Dempsey, Looper's Time Machine, Paolo Bacigalupi's The Drowned Cities.